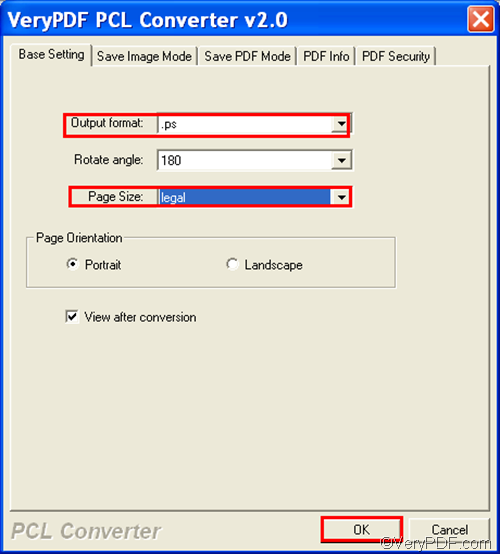 VeryPDF PCL Converter can quickly and accurately convert PRN to PostScript and fit to paper size. It does not require third party applications. Do you want to have a try? 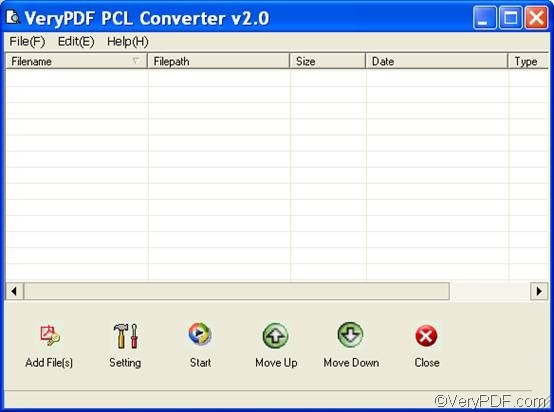 Please download VeryPDF PCL Converter and install it on your computer. Then, do as follows to convert PRN to PostScript and fit to paper size. 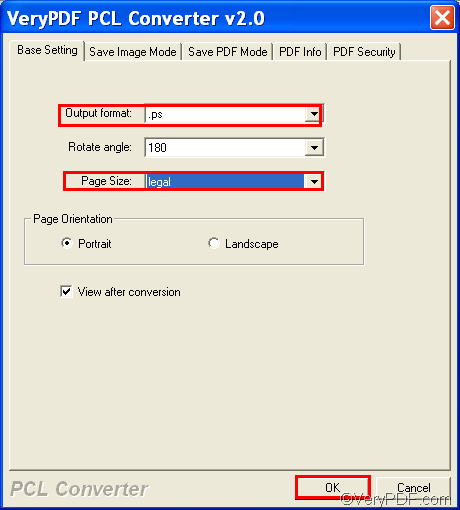 Firstly, you should right click the icon of VeryPDF PCL Converter and click Open to run this application. The following is an illustration of the main interface of the registered version. Secondly, you should click Add File(s) to open a dialog box and select the PRN files you prefer to convert in this dialog box. Then, click Open to close the dialog box and then all the selected PRN files will be listed on the main interface. To remove some PRN files in the list box, please select the files first and then press Delete on your keyboard. Click the Output format combo box to drop down the list, then, click .ps in the list. Click the Page Size combo box to drop down the list, then, click legal or another item in the list. Set other options, if you like. And then click OK.
Fourthly, please click Start on the main interface. In the pop-up dialog box, select a folder and then click OK, Then the computer will instantly convert PRN to PostScript and fit to paper size. The result files will be stored in the selected folder automatically. This is what you should do to convert PRN to PostScript and fit to paper size. Do you think VeryPDF PCL Converter is easy to use? Convert pxl to jpg and set page size via command line? How to convert prn to tiff? How to convert pxl to bmp via command line? This entry was posted in VeryPDF Blog and tagged fit to paper size, prn to postscript. Bookmark the permalink.